This is conversation is with David Nebinski, and four questions from the community. 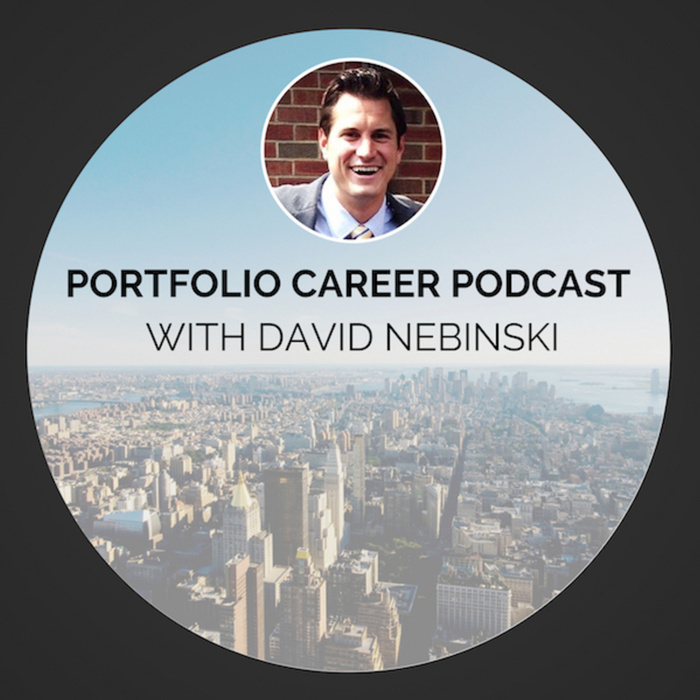 In this episode, David discusses his portfolio career journey and more. Thank you for listening and your support! Excited for you to build and grow your Portfolio Career! This conversation is with Avery Roth. After living in 40+ countries and accomplished Wall Street background and a few pivots along the way, Avery is a Career Change Coach. She works with clients in NY and around the world. Avery’s work is more focused on transformation and strategy, in addition resume, LinkedIn, and overall positioning. Excited for you to build and grow your Portfolio Career! This conversation is with Ben Bradbury. You may remember Ben as a guest on the show, episode 7, in August 2018. Since then, Ben moved to London and his portfolio career evolved. He is now focused on sharing ideas that change behavior largely working for himself. He does this through his personal writing and his podcast, Subject Matter. He also does this through his work at a Project 33, a full-stack content marketing company for leaders and executives. If you are interested in designing your life around ideas, content, podcasting, story-telling, and LinkedIn, this episode is definitely for you. Excited for you to build and grow your Portfolio Career! This conversation is with Stacey Ferreira. Stacey cofounded her first company, MySocialCloud when she was just 18 with her brother. For which, Stacey got investors like Sir Richard Branson into the company through connecting on Twitter. She is a published author with her friend Jared Kleinert called 2 Billion Under 20: How Millennials Are Breaking Down Age Barriers and Changing The World. She is currently the CEO of Forge, a future of work startup, and is a global speaker. A few highlights you will learn include: -how to find work with your friends, -how to think about your next project, -job hopping in a good way, -future of work; and -the benefits of creation. This conversation is with Tristan Thoma. Tristan is a blockchain strategist and public speaker. His education and experience was aided by building relationships, reading books, and technology and IT background. Using his prior teaching and coaching background, he decided to launch a blockchain education seminar, which was successful and popular. Tristan started a blockchain strategy company called Impera Strategy to work on projects, while also working with two not-for-profits. So, tune in to build and grow your Portfolio Career! This conversation is with Darrah Brustein. In the fall of 2018, Darrah launched "Life by Design, Not by Default" sharing stories with visionaries like Deepak Chopra, Adam Grant and Jen Sincero in a 45 speaker online summit reaching over 7,000 people . For the past 10 years, she founded and scaled two businesses in tandem: a networking events company serving 30,000+ people and a payment processing company spanning 38 states. A prolific writer and interviewer, Darrah's thought leadership articles on lifestyle design have been read by over 1 million people across Forbes, Entrepreneur, and Thrive Global. Her motivating motto "build a life of your own design, a career to fund it, and a network to support it" has inspired thousands to reach higher and dream bigger. Darrah recently launched the video series “Diving Deep With Deepak & Darrah” to make deep topics relatable and translatable into your life. ... and so much more for you to build and grow your Portfolio Career! This conversation is with Chelsea Rustrum. Chelsea started a tech company when she was 14. She has always been at the forefront of technology, which creates opportunities and key skills. As a pioneer in the sharing economy, she became the author of, Its A Shareable Life. She is currently a thought leader and global speaker in the blockchain sector and Cofounder a blockchain marketing agency called Blox 7. She is also the cofounder of a new economy retreat and innovation center in Italy called Alchemy Spaces. And so much more for you to build and grow your Portfolio Career. This conversation is with Howard Gray. Howard is an educator, coach, and project builder in New York City. His work focuses on the intersection of education, entrepreneurship, experiences, and entertainment. He is the host of the Tickets podcast and the founder of H Bureau. He has worked with companies like WeWork, The New School, Decoded, Techstars, and more. Before moving to New York, he founded and led media and entertainment companies as well. ... and much more! So, tune in to build and grow your Portfolio Career! This conversation is with Chris Schembra. Chris is the founder of 7:47, a dinner series-first company that has sparked more than 300,000 relationships. It started as a way to solve the isolation issues that Chris was experiencing during his work on Broadway in New York City. Based on market demand, Chris and team started a business to build human connection in the workplace. In this episode, you will learn the specific question that Chris asks... and the breadth and depth this one question has impacted so many people ... including a time Chris asked THIS SAME question to Bill and Melinda Gates. So, tune in to build and your grow your Portfolio Career! This conversation is with Jay Clouse. Jay is the founder of Unreal Collective, co-host of the Upside podcast, a LinkedIn Learning course creator, and much more.